Based on today's article, I thought Matier and Ross used some of my ideas (especially this posting), but Andy replied back and didn't even know about my blog. I wrote back saying "all great minds think alike." Actually, thanks to those two, they have dug up even more information that I would never have the privilege to obtain. I don't have press credentials, so I always have to get information from either past experience or from my connections. 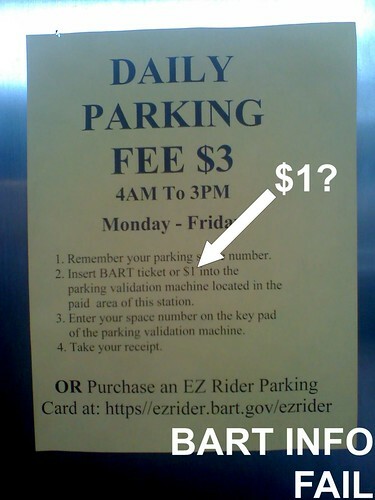 We now know that BART's Vice President James Fang was the one responsible for this cell phone program. He thought of the idea and got BART to play along, and he even dislikes the Translink program by calling it an obsolete program in the near future. Oh really? Cell phone RFID has so many restrictions, from people being forced to be under contract with a cell phone company, buying specific programmed cell phones, and maybe a future 10% surcharge for just using this service. Translink is literally FREE (if you get automatic reloading; that waives the $5 card fee). Octopus in Hong Kong started in 1997 and is now one of the most successful universal transit fare card programs in the WORLD. They are now 12 years old and the technology is not OBSOLETE. Not by a long shot. Plus, they use the original technology from ERG; same as Translink's. Subway companies upgrades their fare gates with the Octopus card reader pre-installed (old fare gates had an accessory kit installed). Making mini sized cards for keychains, special watches, wristbands, and even cell phone covers with the chip installed. Decreases crowds waiting to enter at the gates, and quicker boarding on buses. Buy food at many fast-food joints, bakeries, and convenience stores. Expand their services into neighboring cities. Pay taxi fares (under trial). Transit fare discounts for using the card vs. a ticket. Sells a tourist card with preloaded funds and includes rides on the train to the airport. Translink will follow in the footsteps of Octopus. It is the future of public transporation in San Francisco and the dream is coming a reality sooner than expected. Failure is not an option. But failure is a definite option for BART VP Fang. How about you cancel your agreements with cell phone providers and refund the $350,000? BART has a huge budget deficit, and this money could be used to benefit BART in many ways, like getting rid of that blue carpet. My comment is the "most recommended" at SFgate! Would you pay $1 for Water at a SF Restaurant?